Although the UAE wedding season is currently pretty quiet, there are plenty of destination weddings happening in places with a kinder summer climate, such as Cyprus and Greece. Perhaps you are currently planning your own destination wedding for next year, or are looking ahead to a winter wedding in the UAE. Very often, we think so much about what WE are going to wear for our weddings, that we may not consider our grooms and groomsmen until fairly late in the planning process. Fortunately, BCME vendors Eloquent District, an online luxury men’s grooming and accessories store based in the UAE, are here to help. Eloquent District has put together a lookbook of their favourite accessories for grooms and groomsmen who are involved in a wedding this summer. From formal pocket squares to fun swim shorts, there’s something for every guy and every type of wedding. Enjoy! 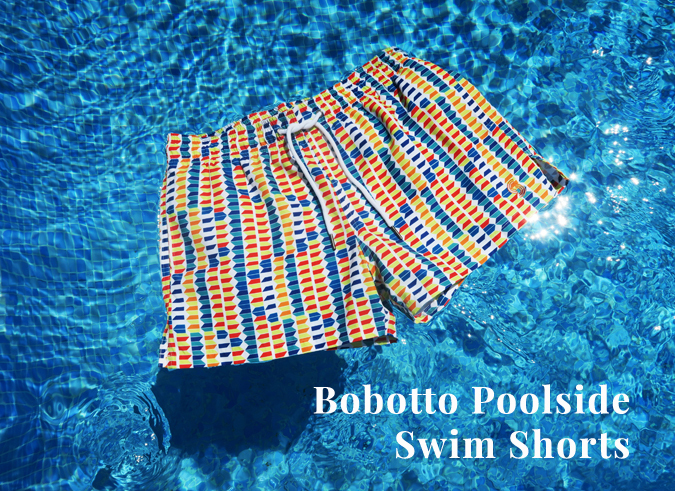 These printed swim shorts have an eye catching print, incorporating a primary colour palette. The trunks are a versatile piece for all ages and can be easily styled with a navy T-shirt for more casual day wear, perfect for those post-wedding dips in the pool! This Print comes in the ‘Middie’ length. The ‘Middie’ are a relaxed mid thigh length cut, with a drawstring waist. Made by Syndicut, these trunks consist of fast drying ‘peach skin’ fabric. Each pair has side pockets and a velcro pocket on the reverse. Price: 250 AED. Click here for more information. 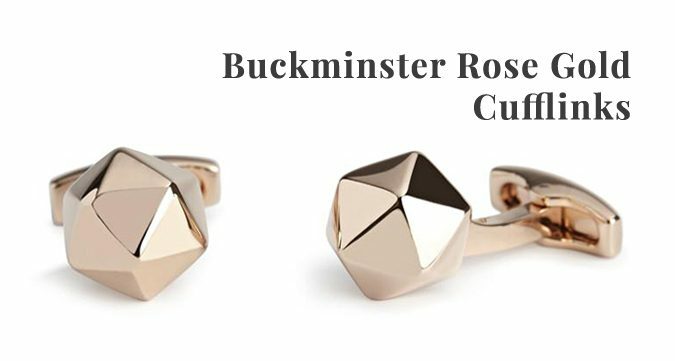 These cufflinks are inspired by the work of Buckminster Fuller and are perhaps his most famous design: the geodesic dome. Fuller said, “when I’m working on a problem I never think about beauty. But when I’ve finished if the solution is not beautiful I know it’s wrong”. This cufflink is bang on trend and an easy, effortlessly sophisticated addition to any occasional double-cuff shirt that your soon to be husband may wish to wear at your outdoor wedding. It has a ‘whale tail’ finding which is similar in form to a solid toggle back except the rear part of the finding swivels to lie flat against its shaft for easy insertion through the cuff. Price: 275 AED. Click here for more information. 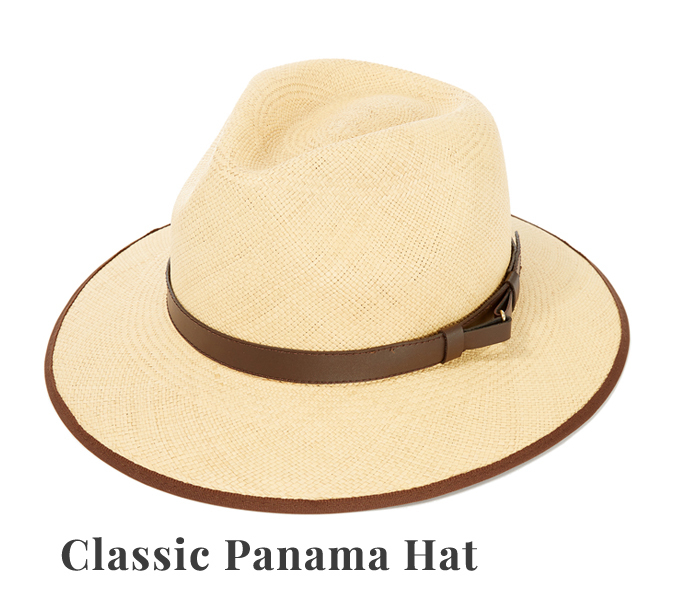 From Christy’s London, this handmade belted Panama hat is perfect for keeping your man cool during the heat of the day. It’s will also add a unique touch to his outfit, and as such is stylish as well as practical. Price: 535 AED. Click here for more information. We think that this bracelet would make a great accessory for a beach wedding either in the UAE or further afield. 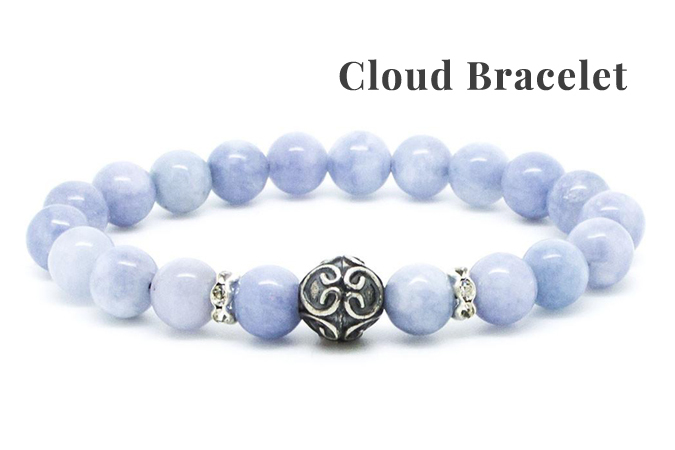 Available in small, medium and large, it is handmade and consists of 8mm semi-precious stones. Price: 180 AED. Click here for more information. 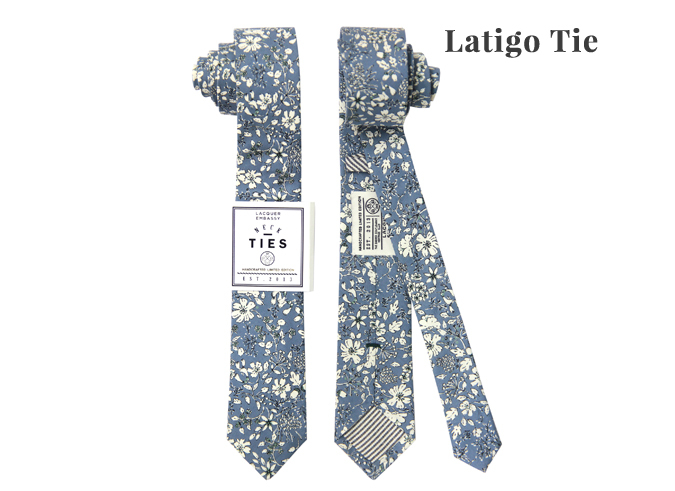 This handcrafted slim floral tie is perfect for summer weddings! Made by Lacquer Embassy, it is versatile and can compliment a range of looks. There’s also a contrast thread detail and contrast striped lining at the back, adding an extra edge to your husband’s style. 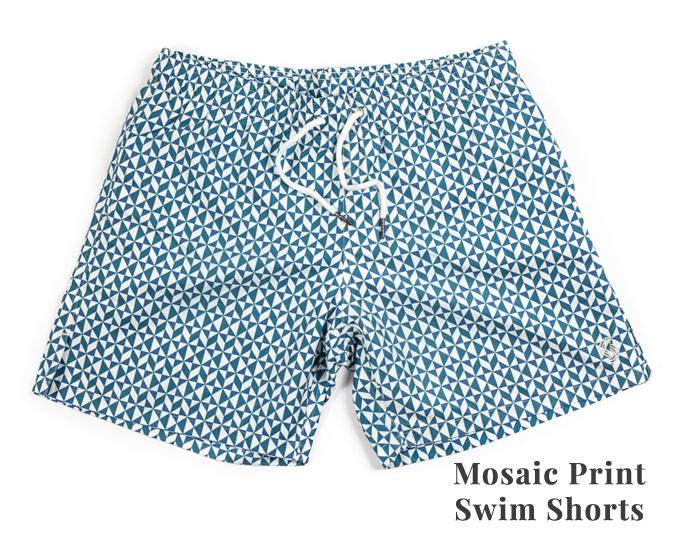 Our second swimwear option, once again by designers Syndicut London, are these Mosaic print Swim Shorts by artist Fergus McDonnell. Featuring blues and whites in a stylish minimal design, these shorts will keep your man’s look fresh and clean, still with that element of fun. Once again, it is available in the ‘Middie’ length and has a drawstring waist. Side pockets and a velcro pocket will keep all the essentials, such as keys and cards, safe. We love these distinguished, luxurious and clever ‘Savile Row’ cufflinks! Made from intriguing mother of pearl, they feature a copious investment in semi-precious design detail, all in a bright rhodium plated ‘whale tail’ backed housing. 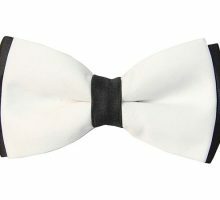 Perfect if you’re having a more formal summer wedding! Price: 335 AED. Click here for more information. This is another item which we think would be perfect for a beach wedding. 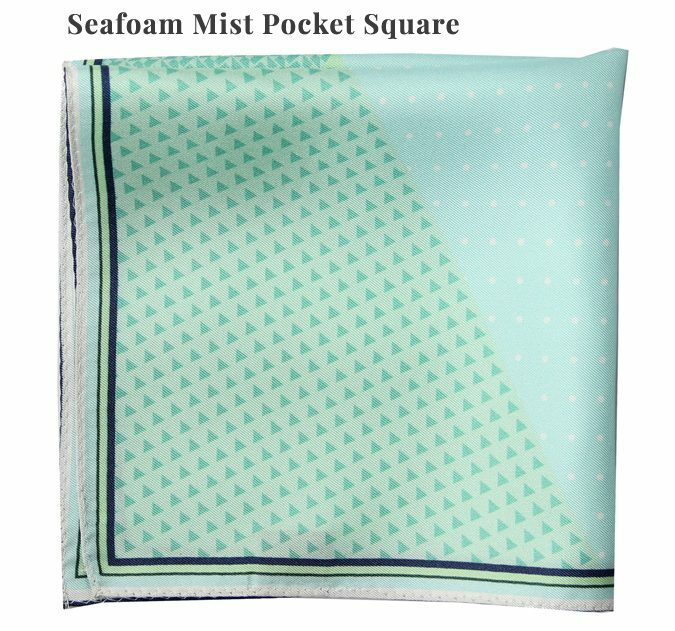 Made from luxurious silk, the Lacquer Embassy pocket square features different geometrical patterns togther to form a sun-bleached summer colour accessory that would really set off more formal attire. If you would like further inspiration when it comes to accessory and grooming ideas for the man in your life, be sure to check out Eloquent District’s BCME vendor profile here, or alternatively, visit their website.